I thought that too, till I noticed it comes with a 5 gallon stainless steel pot. Thats probably about £25-£30 on its own. The two buckets are about a tenner apiece at Wilko, so there's roughly £50 of kit for starters. Capper is another tenner (at least - although caps are cheap). And all the other parts (beer kit, spoon, siphon, etc) are defo worth more than £7. All in, seems like a decent deal, if you're just starting out. Heat. Beerhawk parts or other brands/generic parts?? Well that was a success. A very merry Christmas day. Just wish I'd got the Leffe Noel after a bottle on Christmas Eve. we usually go to France at least once a year, i know there cheaper over the other side of the border.. but then theres the offers 4 for 3 and your getting £20 on sending them back.. - were looking into seeing if our mate who owns a pub can get them at a good rate.. But your right theres not a great saving but them heogaarden is my choice of tipple and i know how much that costs in a pub so thats a great deal..
:( ah shux ive just tried it and its not working. Hopefully theres another code floating about. Don’t understand the cold votes. At approx £1.50 a pint these kegs are actually better than what you get in a pub. Plus the unit really isn’t that expensive if you buy a bundle from Beer Hawk. Anybody that drinks cans and bottles would never go back after sampling PD beers/lagers. Probably because it's a product most people would never buy for the machine as the upfront cost. People are happy to just buy cans or bottles for drinking beer at home. I have no idea if this is a good price so I'm not voting either way. Can I ask, Why the cold votes? Dammit up to 67 now. Great deal! I bought it, got 3 bottles of flensburger as well that have the reusable tops with my first order 10% discount. Seconded. The green one is very nice but the wheat one let's the pack down. Would be a good deal if the 312 Wheat ale wasn't awful. £1.17 per 500ml Franziskaner is fantastic. This really isn't good value for money. 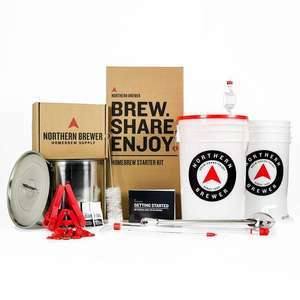 As a home brewer myself, this is incredibly poor value for the ingredients and equipment. This is much better value than the one gallon kit. This is 100% worth this price tag for what you are getting. This looks a genuine saving for Black Friday.. they sell on Amazon too and the history has this at lowest £148 via camelcamelcamel. Did yours arrive? I have just had an order arrive but no advent calendar! The beers in the morrisons ones are not near the quality of the ones in this case. I got a morrisons one last year and most of the beers are generic fodder brands, some of them truly awful in fact, like manns brown ale for example. This is a craft beer case. Only ever had issues with Beerhawk. A company I'd avoid. It appears the bottles are staying the same but the draught version will be weaker. Had a bottle the other day from asda, still 6.2 when I bought it. The problem comes when they start messing with the formula which Henikien have done with Lagunitas (also a US drink) which is now a 5% ale rather than 6.2%. Some bars still advertise it as higher strength than it actually is which is wrong too with a price to match. But you cant get it for that price at the moment, they may drop it for black friday. At this particular moment in time, this is the best price out there. They recently had an offer with £50 off. Last November some time the were £99 but only for a few days. Not sure why this is getting voted cold, good deal at the moment. You can get an extra 10% off this price as well. 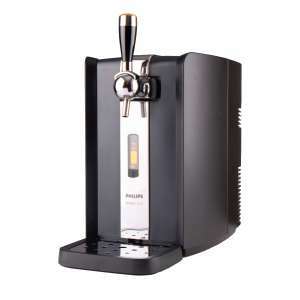 Those saying it's just the novelty of pouring your own pint have obviously not tried a pint from one of these machines. Beer is brewed in germany/belgium e.t.c not brewed under licence in the UK so is a lot better than what you get in the pubs and far far better tasting than cans or bottles. The Kwak is lovely! Who'd have thought it was 8.4%?!?! Works out about £2.30 a pint, with the 20% discount for 4 kegs and the £5 keg deposit. Well worth it. Don't forget the airing cupboard. I may be an old fart now but in my day we brewed beer in dustbins (or the bath in uni days) and fermented wine in gallon demijohns. The photo does say small batch but not worth the effort for so few pints. It's a lot of work for 7.6 pints. I have only ever made beer in 5 gallon lots (40 pints), and there is a lot of work involved regardless of the amount brewed. For a demijohn, an airlock , a piece of plastic tube, bottle capper, etc,. and a small bag of ingredients, I think this is quite expensive. You will find that repeat ingredients and recipes will be geared to 40 pints. Unless you buy more demijohns, you'll have at least 2 weeks wait between brews of 7.6 pints. Sorry, not for me! Normal brew kits are 22ltr or 40 pints so this is pretty much useless. Can't you buy something similar from the likes of B&amp;M for half this price? Probably not as good as this one. As a big craft beer drinker (at least 900 different beers), I took a punt on this. A normal beer for me can range from £4 a pint to £8 for a third, so £1 a beer is mega cheap. Opened my delivery this morning and I can’t complain. There are beers in there from Thornbridge and Siren as well as a few lesser quality American breweries which would normally retail for at least £2.50. Plus Hoegarden and Schneider Weisse which are good quality European beers. Yes, there are one or two duds such as that horrid Blue something or other lager, but I’ll just give that to someone. All in all - well worth a punt at £1 a beer. I have taken the mystery case 4 times in the past with good results, been a bit unlucky with this one 8 beers not past best before date. 1 September 2017 4 end of 2017 7 January 2018 And the rest a bit of a mixture but past best before date. They give fair warning you are going to get beer past its best before date but to be honest most times in the past it has been about a month out. Freezing deal. Some decent beers but cheaper in the supermarkets. The postage kills it. I thought you do mobiles only @Mrswitch . Its £24.65 with the postage, so your sums are still wrong. £24.65 / 14 = £1.76 per beer. Buy one mystery box and get one free. Also get free delivery thrown in. £1 per beer. Very good saving, and beer hawk do some of the best beer. Yea, enjoy, all I can say is I'd definitely buy again, I really thought I'd get screwed over with supermarket beers and dupes. Mine were also delivered via Yodel today. I have a few duplicates but that is hardly surprising given that there were 20 bottles and 10 cans. As expected, most of the bottles are past their best before date. In some cases, they are quite a lot past their date which is rather surprising and disappointing. I haven't heard of many of the beers to be honest and am looking forward to trying them.